I tried an Oculus Rift... and it was ok. I'd been looking forward to trying one for years and when I finally got the chance I thought it was a neat little gimmick. I was hoping it would blow me away. 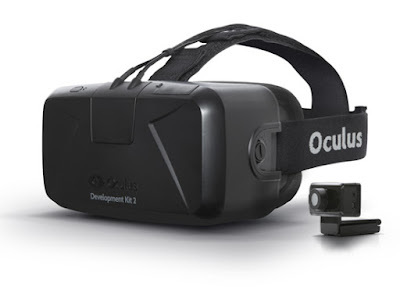 I think the problem wasn't necessarily the Oculus Rift but the environment I experienced it. It was in the middle of PAX with tons of noise and activity around me. I loved the game I played, Keep Talking and Nobody Explodes. It was my favorite experience from PAX and getting to disarm a bomb with my brother was so cool. But, it wasn't a game that needed an Oculus Rift. It could easily have been done with a regular monitor as long as the second player couldn't see it. I'm still excited for the potential of VR but I think that the next time I get a chance to try out a VR headset I want a quite space with good headphones and a lot of time to play around.